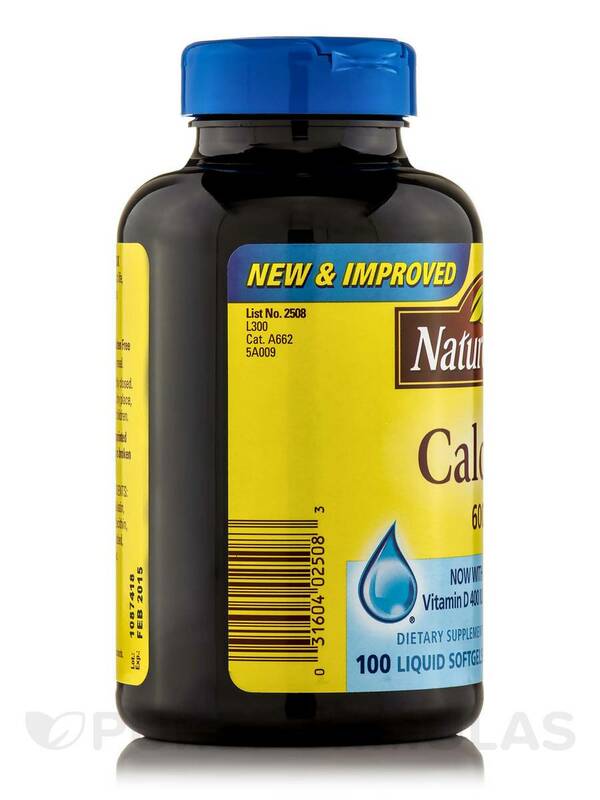 Calcium 600 mg with Vitamin D – 100 Softgels from Nature Made® is a supplement that improves your intake of calcium. This formula contains calcium and vitamin D3. 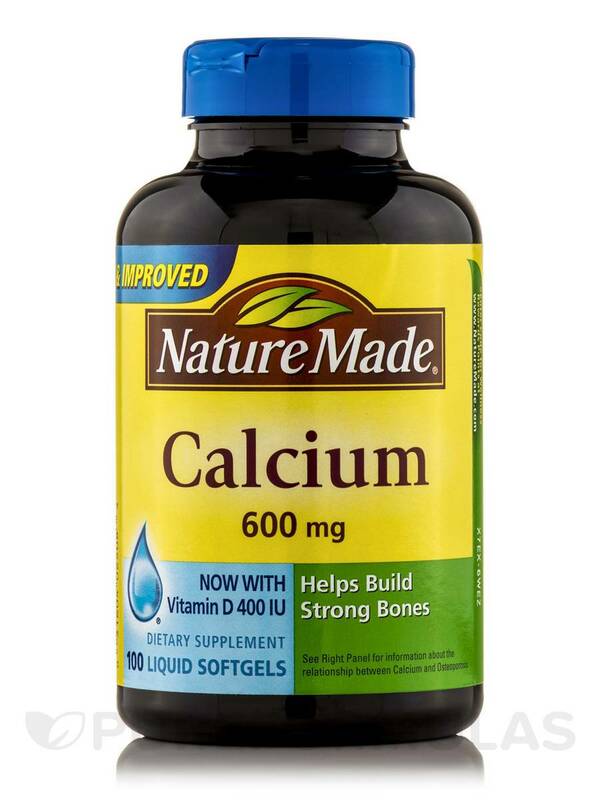 Calcium in this supplement from Nature Made® is present in the form of calcium carbonate. Studies reveal that many people may have a deficiency of calcium‚ especially post-menopausal women. A shortfall of calcium could lead to removal of stored calcium from bones into the blood‚ thereby leaving the bones brittle and weak. 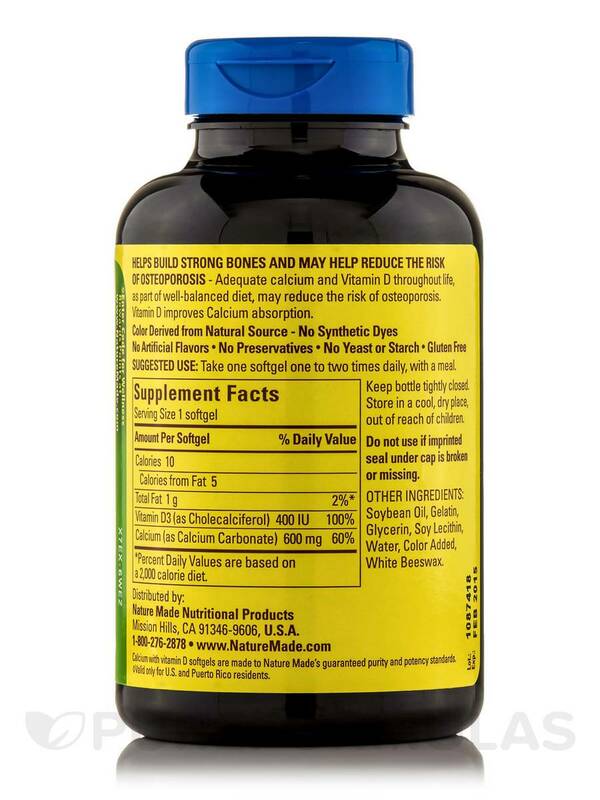 Presence of vitamin D3 in this supplement enhances the absorption of calcium by the body. Calcium in the blood aids in the transport of nutrients through cell membranes. It could also produce hormones and enzymes that modulate metabolism. Studies show that calcium may help transmit impulses between nerve cells‚ support muscle contractions and blood clotting. Switch to Calcium 600 mg with Vitamin D – 100 Softgels from Nature Made® and boost the health of your bones‚ teeth and metabolism. Ingredients: Calcium Carbonate‚ Maltodextrin‚ Cellulose Gel‚ Croscarmellose Sodium‚ Hydroxypropyl Methylcellulose‚ Magnesium Stearate‚ Polyethylene Glycol‚ Corn Starch‚ Vitamin D3 (Cholecalciferol). No Artificial Colors. No Artificial Flavors. No Preservatives. No Yeast. No Gluten. Suggested Use: Take one tablet one to two times daily‚ with a meal. 1) Current research does not indicate that this supplement should be avoided when taking prescription drugs. 1) Current research does not indicate that this supplement should be caution when taking prescription drugs. Given that no two cases are alike‚ all patients should be aware of the potential drug-nutrient interactions that may exist and are encouraged to follow up with their primary health care professional.